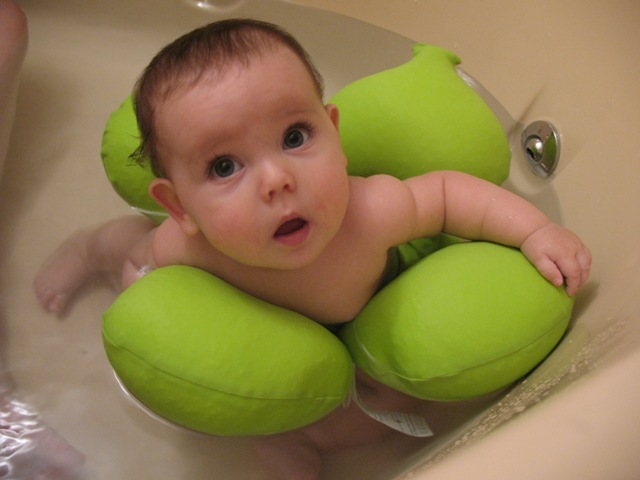 While a traditional bath seat restricts movement, the Papillon allow baby to float and move around safely in the tub. 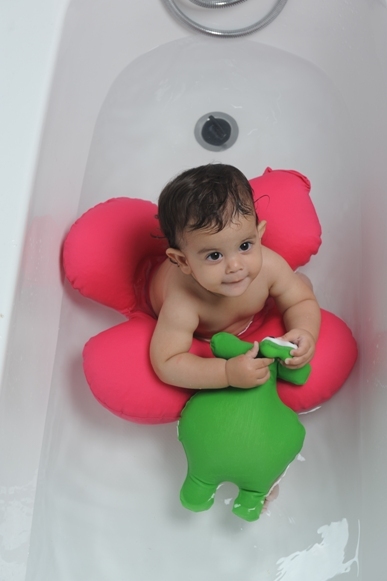 Your baby is able to grab bath toys by himself and even lie on his back or tummy! 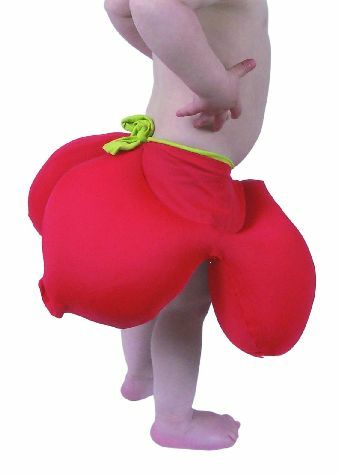 This wearable bath ring fits snugly below baby's waist and stays on securely even as he begins standing and walking, to toddlerhood. Plastic bath seats can't support a baby who tries to rise from a seated position. Begin using the Papillon when baby can sit up unassisted- between 7 to 10 months of age - and continue to use it as he starts standing and walking on his own. Finally, you can reach and bathe all of baby's parts without straining and lifting him out of an uncomfortable bath seat. Targeted for babies who sit up on their own, between 8 - 10 months to 20 months old. 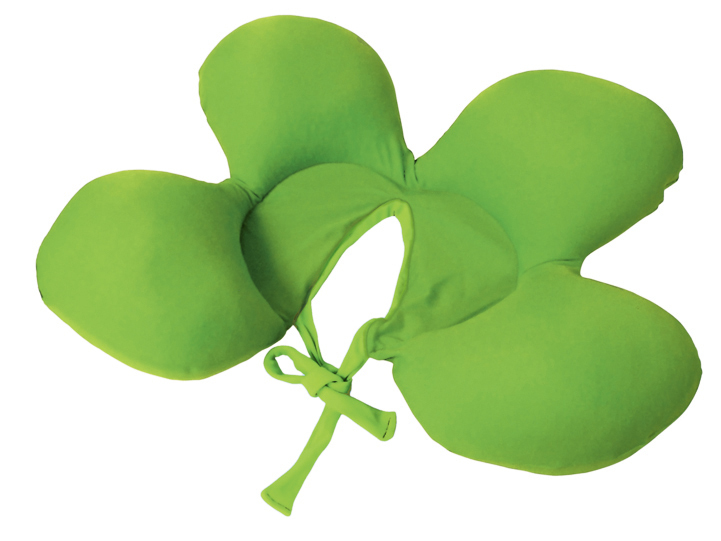 Made of fabric: 80% Polyamide 20% Elastane. Filling: thousands of tiny Polystyrene balls. Designed for use in both infant and standard bathtubs.